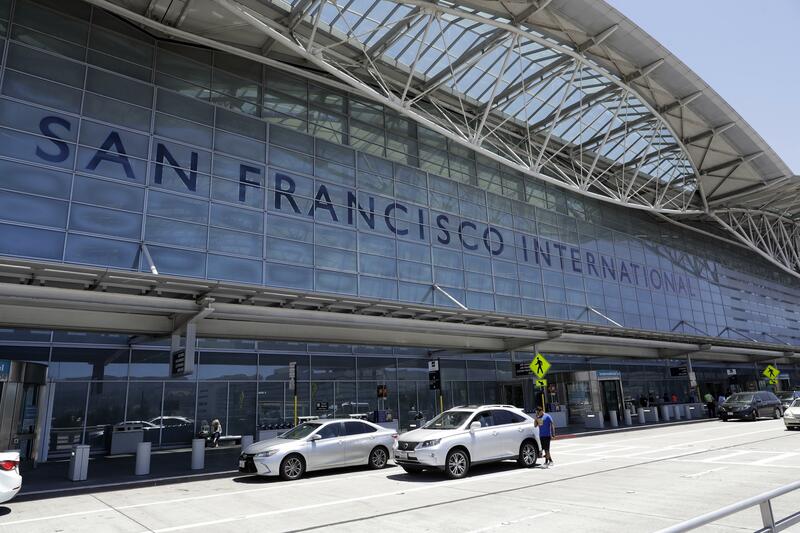 Investigators looking into the frighteningly close call involving an airliner that nearly hit planes on the ground at San Francisco International Airport will try to determine why the pilots made such a rookie mistake and nearly landed on a busy taxiway instead of the runway. The Air Canada plane with 140 people aboard came within 100 feet of crashing onto the first two of four passenger-filled planes readying for takeoff. Runways are edged with rows of white lights, and another system of lights on the side of the runway helps guide pilots on their descent. By contrast, taxiways have blue lights on the edges and green lights down the center. Then there is the radio transmission in which one of the Air Canada pilots sounded puzzled about seeing what appeared to be the lights of other planes on the runway. Safety experts said that should have prompted the crew to abort their approach long before they did. Pilots said so-called glide slope technology in modern airliners also should have helped the crew find the runway unless they failed to set it up as they approached the airport. “This was a clear crew error with many facets, I suspect,” said Alan Price, a former chief pilot for Delta. When investigators interview the pilots, they will focus on understanding how mistakes occurred “and why they did not realize the sequence of errors,” said John Cox, a safety consultant and former airline pilot. Investigators will look at the pilots’ use of automated-flying systems, their manual flying skills, and how they interacted with each other as uncertainty set in, he said. Investigators from the U.S. National Transportation Safety Board may arrive this weekend and interview the pilots and air traffic controllers, an agency spokesman said Friday. They will examine information from the flight data recorder, which will tell them the plane’s exact location and how it was being flown. They also will listen to the cockpit voice recorder, which may indicate whether the pilots were focused on their job or distracted. Canada’s transportation safety board said the Air Canada jet skimmed just 100 feet over the tops of two planes waiting for takeoff. After an air traffic controller ordered them to abandon their landing, the pilots pulled up their Airbus A320 just in time, circled and landed correctly on the runway. No one was injured. The Canadian agency’s summary was the first official account of just how dangerous the situation was. An Air Canada spokeswoman said she could not comment because the incident is under investigation. She declined to describe the amount of experience of the pilots. A recording of the radio calls between pilots and the control tower captured uncertainty in the Air Canada cockpit as the plane approached shortly before midnight on July 7. One of the pilots radioed to the tower that he saw lights – presumably other planes – on the runway. An air traffic controller assured him the runway was clear. After a pilot apparently in one of the planes on the ground said the Air Canada jet was heading straight for the taxiway, a controller ordered the Air Canada crew to abort the landing. From the vantage point of the Air Canada crew, four parallel surfaces appeared below them – from left to right they were taxiway F; runway 28L, which was closed; runway 28R, on which they were supposed to land, and taxiway C, where the other planes were waiting their turn to take off. Chris Manno, an American Airlines pilot, said the Air Canada crew should have stopped their approach while they figured out why they were seeing lights from other planes on what they thought was the runway. Taxiway landings are rare, and most of them involve small planes. In February, actor Harrison Ford landed his single-engine propeller plane on a taxiway at John Wayne Airport in Southern California after narrowly missing an American Airlines plane with 100 passengers. The actor, an experienced pilot, realized his mistake immediately and was not punished by the FAA. Some airliners have mistakenly landed or taken off from taxiways. In 2006 a Continental Airlines jet passed through rain that reduced visibility before landing on a taxiway in Newark, New Jersey. The captain took control of the plane from the co-pilot when he realized the mistake. In 2009, a Delta Air Lines jet landed on a taxiway in Atlanta. In 2015, an Alaska Airlines jet landed safely on a taxiway between runways in Seattle. Traveling on airlines has become remarkably safe. No U.S. airline has had a fatal accident since 2009. The last fatal accident involving a foreign airline on U.S. soil was the 2013 crash at San Francisco International Airport of an Asiana Boeing 777 carrying 307. Three passengers died after the plane’s tail struck a seawall while landing on runway 28L – next to the runway where the Air Canada jet landed. The Asiana pilots came in too low and were unable to execute the kind of go-around that the Air Canada jet did. Throughout aviation history, deadly accidents have led to safety improvements. As fatal crashes have become rare, “the only way to get better is to learn from close calls and incidents,” Wallace said. Published: July 15, 2017, 12:09 p.m.